This article originally appeared in the Newsroom on 29 May. View the original here. These are some of the findings from an exploratory study into health-related factors that could be used to predict whether a person released from prison will end up in custody again. It was led by Emma Thomas of the University of Melbourne and is published in Springer's journal Health & Justice, an open access journal. University of Melbourne Associate Professor Stuart Kinnner is a co-author. 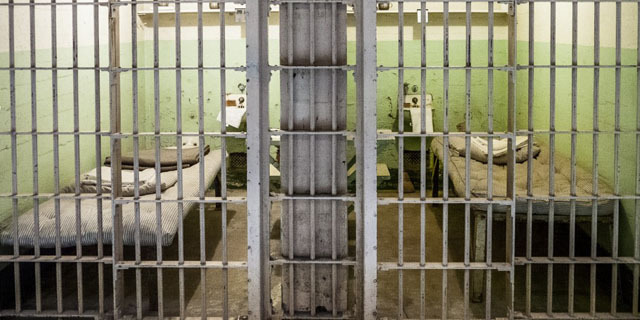 In many countries, including the United States and Australia, it's the norm for ex-prisoners to have further run-ins with the law and to be incarcerated again. This is especially so for those with a long criminal history, those who are younger or male, and those who committed drug-related offences. The study also highlights the role of health-related risk factors, including mental health, physical health and substance use. This follows the analysis of interviews with 1,322 adult prisoners from seven prisons in Queensland in Australia before and after their release. Participants who reported risky use of cannabis, amphetamines or opioids prior to being incarcerated or who had committed a drug-related crime were at a higher risk of returning to prison. "These drug-related issues often go hand in hand with other health factors to compound the likelihood of further jail time," Thomas said. "Such factors include whether someone has evidence of an intellectual disability, has a history of mental illness or has been diagnosed with a sexually transmitted disease. People who lived below the poverty level before being incarcerated and those who did not rate the importance of their physical health highly were also more likely to end up back in prison." On the flip side, the study shows that ex-prisoners who are obese, suffer from various chronic diseases or have had a history of self-harm or suicidal behaviour are less likely to return to custody. This is also true of those who lead a sedentary lifestyle. Thomas said this might be partly due to those with chronic ill health being less capable of engaging in some sorts of criminal activity. The findings of the study point to the importance of addressing the health-related needs of people recently released from prison. "Many of the factors identified are easily measurable prior to release from prison, and could inform improvements to transitional planning without the need for additional, in-depth assessment. Most of these predictors are also modifiable and could potentially serve as targets for re-entry interventions," Thomas said.